HAVANA, Cuba, Apr 15 (acn) With the titles of Rafael Alba and Jose Angel Cobas, along with the silver medal of Glenhis Hernandez, Cuba ranked third in the 2019 Mexico Taekwondo Open. Mexico, a world power in this sport, topped the standings with eight gold, seven silver and five bronze medals, followed by the United States (3-0-4) and Cuba (2-1-0). The tournament was attended by more than 200 athletes from the Americas, Asia, Europe and Africa, including world and Pan-Am champions, in addition to Olympic and universal medalists. Alba (+ 87 kg), Puebla 2013 global monarch, and Cobas (80), Toronto 2015 Pan-Am champ, led with their gold medals the performance of the Cuban team, while the woman Hernandez (+67), Puebla 2013 world queen, couldn´t enrich the golden booty after losing in the final to Puerto Rican Crystal Weekes. 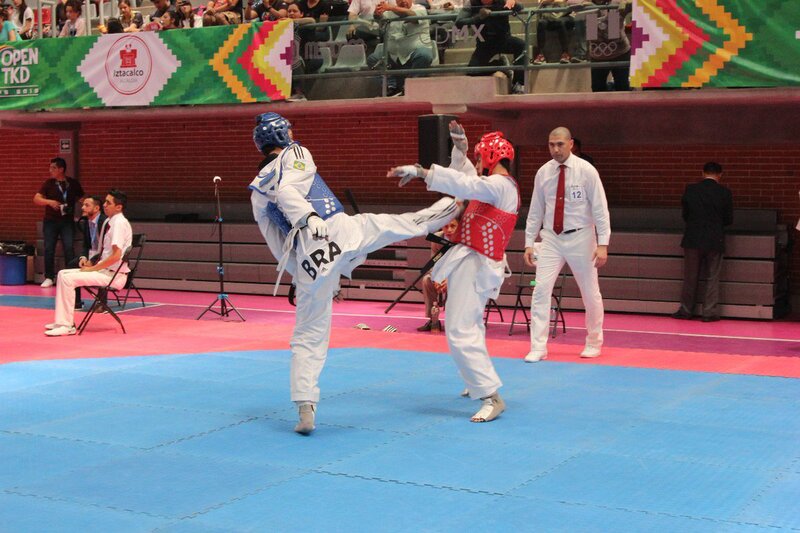 The 2019 Mexico Taekwondo Open granted 40 points for the world ranking to the winners of each division, so Alba and Cobas earned that considerable amount and climbed positions in the universal list.